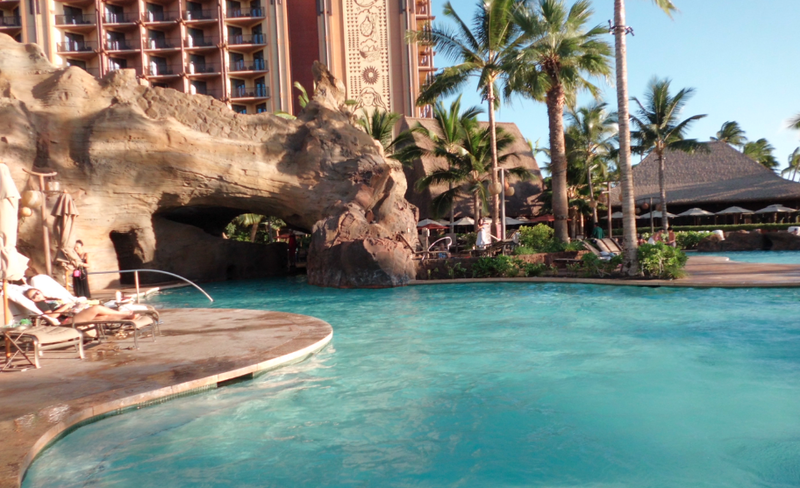 As 2013 comes to a close, we wanted to recap some our favorite pools, posts and happenings this past year, followed by a quick overview of what’s to come in 2014. Seeing as how this was the pool at the top of our bucket list, it pretty much has to be included here now that we’ve been in it. And not only did we swim in it, we took a behind-the-scenes tour. Sharktacular. 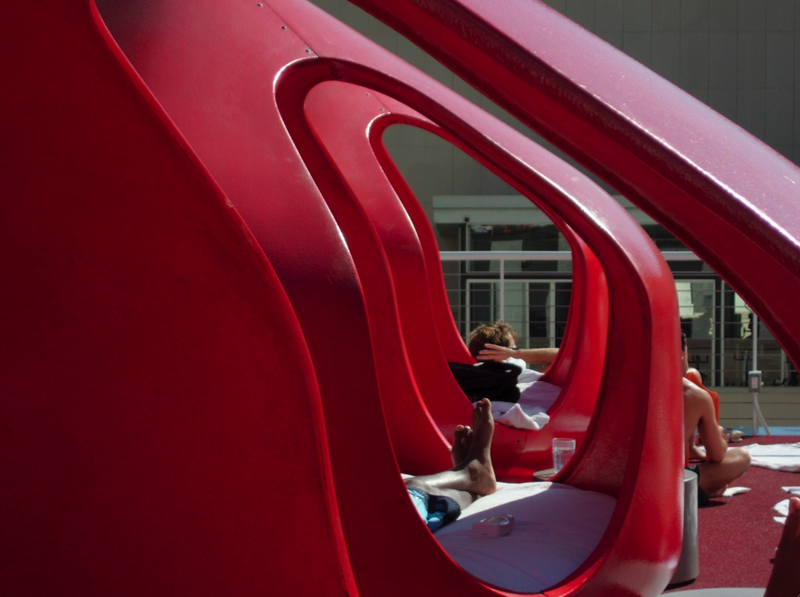 Our experience at the Los Angeles Downtown Standard may not have been the most fun we’ve had at a hotel pool, but this post from 2012, about dragging a 12-year-old to a hipster haven, got the most kudos. 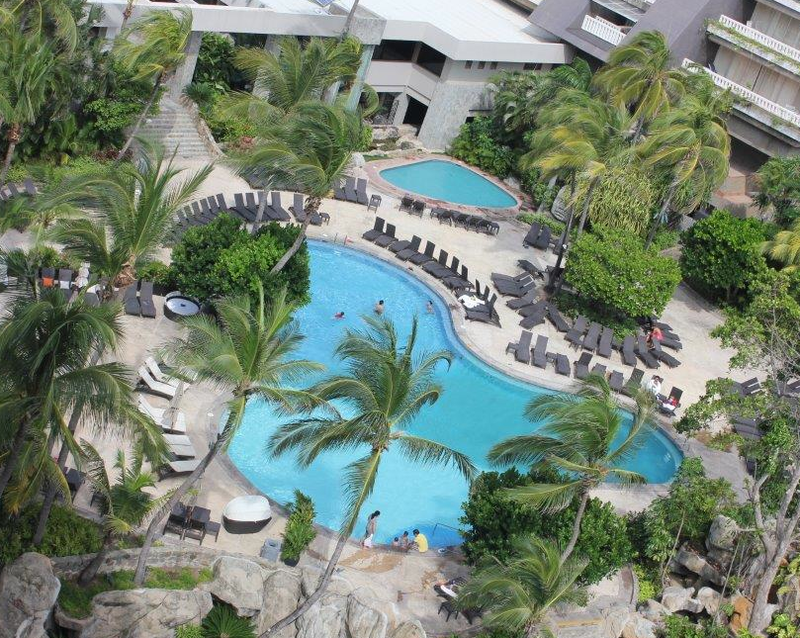 We were here at the end of 2012, with our review posted in January, and then made a quick check-in when the pool was updated and reopened in mid 2013 ( pictures still to be posted). It’s a mega pool and not to be missed. Yes, it was our first guest post, but we are hoping it won’t be our last. Have a pool you want to tell us about? Send email to: cannonball at hotelswimmingpools.com. 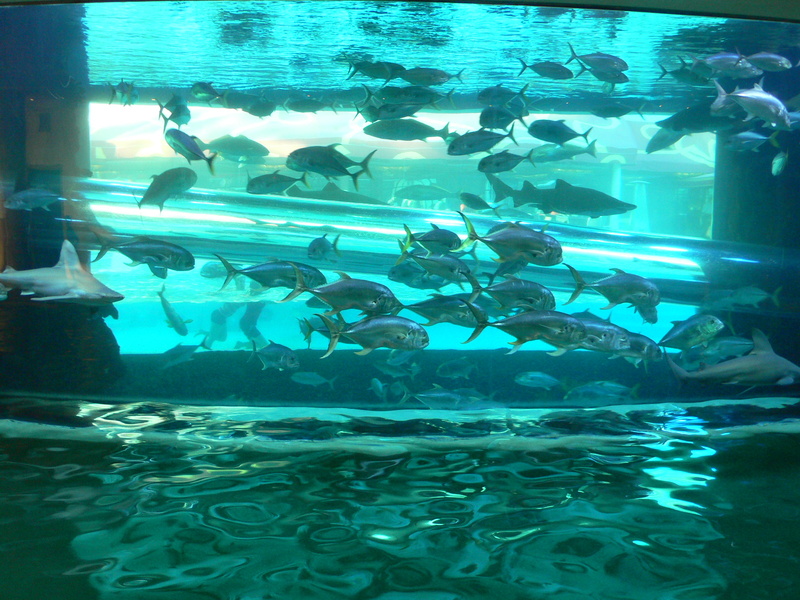 We’d love to hear where you’ve been swimming! We were tempted to give this one to the BASE jumpers in Colorado, but have to give it to the Kerry Hotel. 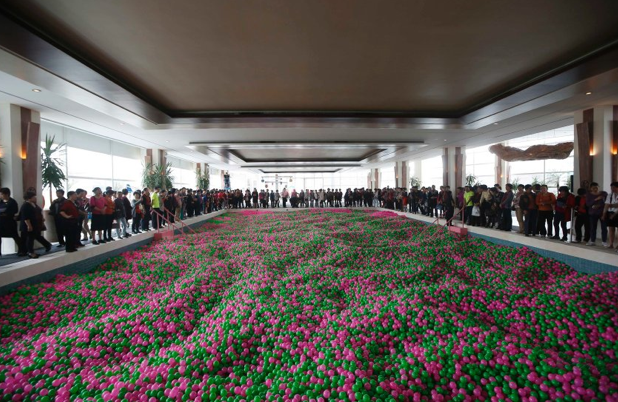 Draining your pool and filling it with plastic balls for breast cancer awareness? We call this literal amazeballs. Not sure if it’s the photo itself or the memories of our week at the all-inclusive resort on Mexico’s Pacific Coast, but below is our favorite original shot of the year. Let us know if you disagree! What’s to come for us in 2014? Expect pool reviews from Spain, Las Vegas, Hollywood, Japan, Tahiti and wherever else we find ourselves swimming away from home, plus a brand new look for the site. And don’t forget to check in on us in June to wish us a happy birthday and see what kind of cake we come up with this year.